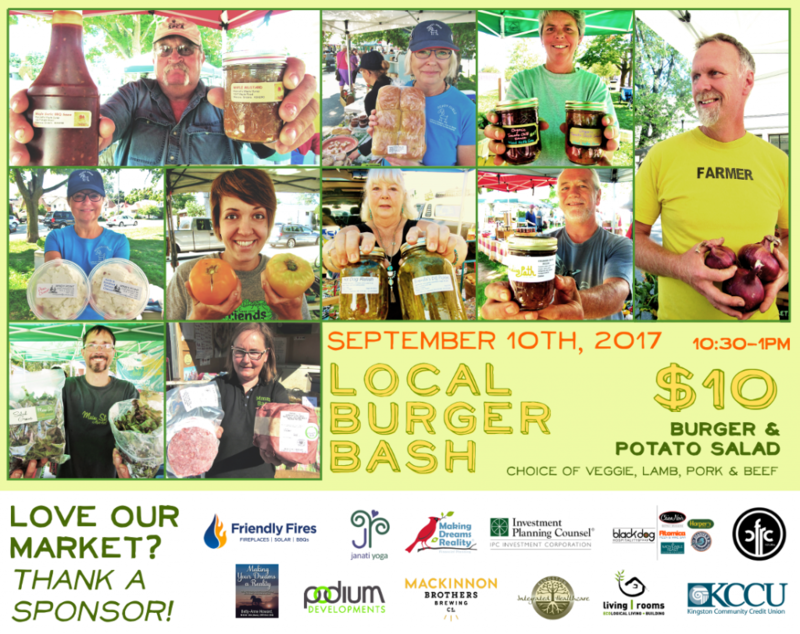 Come on out to our annual Memorial Centre Farmers’ Market Local Burger Bash! This year it falls on Sunday September 10th. This year we offer your choice of beef, lamb, pork and veggie patties and a staggering selection of toppings and condiments from our market vendors. For $10 you receive a burger and potato side salad. Proceeds support our market Entertainment & Kids’ Activities fund. Burgers will be served from 10:30am-1:00pm – we suggest you arrive early to avoid the line! A special thanks to Friendly Fires and Black Dog Hospitality for their support in making this event so special!